We had an excellent journey and arrived in glorious sunshine and immediately made for the Orchard House Café for morning coffee. 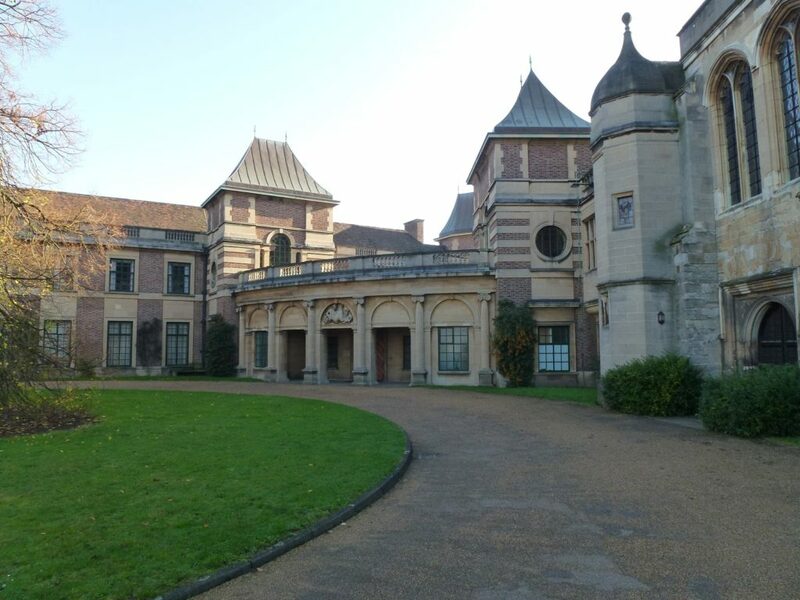 The Art Deco mansion was built in the 1930s by Stephen and Virginia Courtauld and is a wonderful example of architecture blending beautifully alongside the Great Hall of the medieval Eltham Palace and Gardens. 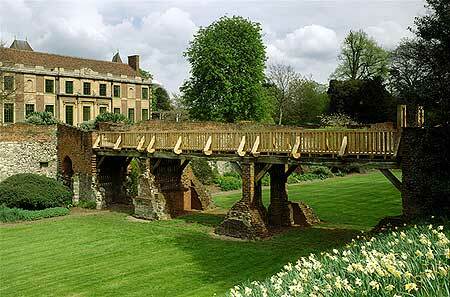 The Great Hall was built for Edward IV in the 1470s and Henry VIII spent much of his childhood here. You enter the Palace and are immediately in the circular entrance hall, a mix of Art Deco and cutting-edge Swedish design,. The panelled dining room is characterised by geometric and stylised shapes. Virginia Courtauld’s bedroom and luxurious golden bathroom is set in a lavish gold mosaic niche containing a statue of the goddess Psyche. Virginia’s walk-in wardrobe contains beautiful period dresses, hats and accessories. Even the Courtauld’s pet lemur, Mah-Jongg, had centrally-heated sleeping quarters on the upper floor. As you go from Art Deco into the magnificent medieval Great Hall with it’s. minstrels’ gallery and glorious hammer-beam roof built for Edward IV five hundred years ago – the third-largest hammerbeam roof in England. There are 19 acres of historic gardens to explore including the Rock Garden with its series of pools and cascades running down to the moat and the sunken rose garden. We arrived back in London around 5.30 and I think everyone agreed that we had a very enjoyable day. 28 members took part in this visit.